a perfect first official restaurant post. 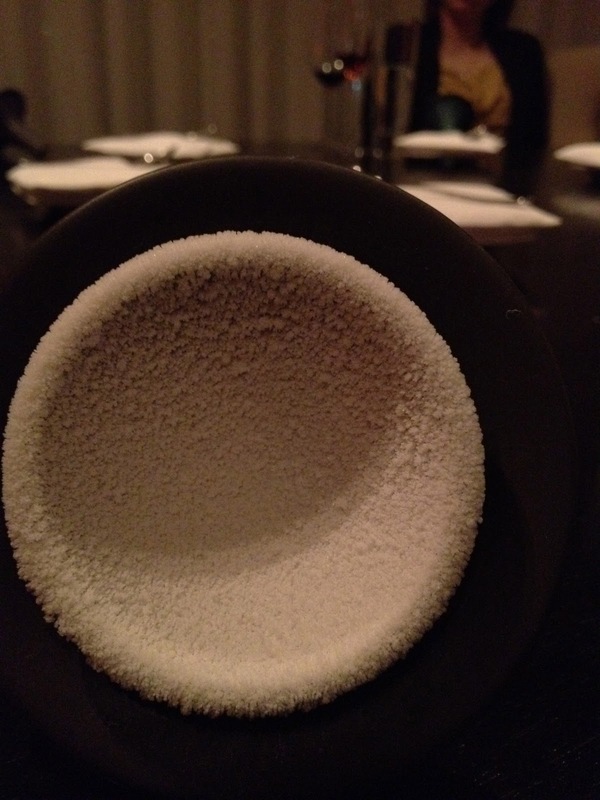 alinea is arguably the best restaurant in chicago... and one of the best in the country. the phrase i hear most frequently is "molecular gastronomy." sounds yum, right? while i do not categorize myself as a non-honey-eating-vegan (simply because i don't come into contact with it very frequently), i went with the honey free menu on this occasion. ** side note: they also offer a vegetarian menu and will customize the "normal" menu for individuals with allergies or other miscellaneous food preferences. for example, one person i was with does not eat pork... they easily substituted those dishes with their vegetarian counterparts. don't you love these kinds of places? now, i'm not going to list off the whole menu - i don't want to ruin any surprises for people who might be headed there... that being said, the menu is incredibly seasonal and i went in the fall. 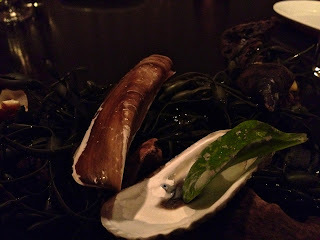 this little leaf was served in a cleaned oyster shell... but the actual part you eat is completely vegan. everyone at my table received the same dish. it was literally just a leaf that tasted like oyster... now, i've not been a vegan, or even a vegetarian, my entire life... but even in the past, i'd never had an oyster. for me, it just tasted salty and a bit fishy... which i am assuming is what an oyster tastes like. the saltiness i loved, the fishiness, not so much. it was neat and everyone at the table enjoyed it. this was just a portion of one dish... the broth for agedashi tofu. as the only non-meat eater at the table, you'd think i'd enjoy the tofu the most, right? nope ... everyone else got tofu... and i got a chunk of parsnip prepared the same way. i must say, it was the best agedashi tofu i've had yet! made from yuzu, an asian citrus fruit. they took the essence of yuzu and turned it into a fancy snow cone... it was incredibly tasty. my only complaint: there wasn't enough of it! the device they served it on was suuuper cold. they told all of us not to touch our tongues or lips to it... we all tested it out, of course. 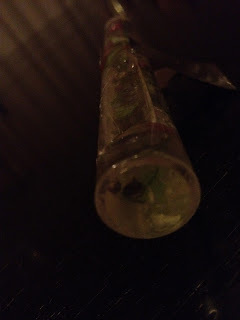 this was basically an alcohol free test tube shot (yes, taken in one big gulp) filled with lemongrass, dragonfruit, thai basil and finger lime. 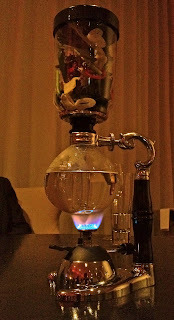 it was by far the most flavorful and delicious item we enjoyed. again, i wanted more after my sip! dark chocolate, sweet potato, lingonberry and stout (according to my menu, not sure where that fit in). basically, artwork made of dessert all over the table... the best part: just dig in! no utensils required! i'd say one of the things i miss the most about eating vegan is dessert. needless to say, i was satisfied for several days after this. the vegan portion is the one at the top of the photo. you can see that the ice cream is a bit darker, due to the soy milk, i suppose. of course, i don't have a photo of my favorite savory bite: a fried ball of butternut squash, apple and shallot served on a maple tree twig. i think i could eat those little squash balls every day and not get tired of it. actually, i could eat all of it every day. chef grant achatz - a friend to vegans and non-vegans alike!